If you are as excited about the ongoing art project on the Aurora Pedestrian Bridge as we are, you will be thrilled to hear there is now an opportunity to meet neighbors and help enhance the project! 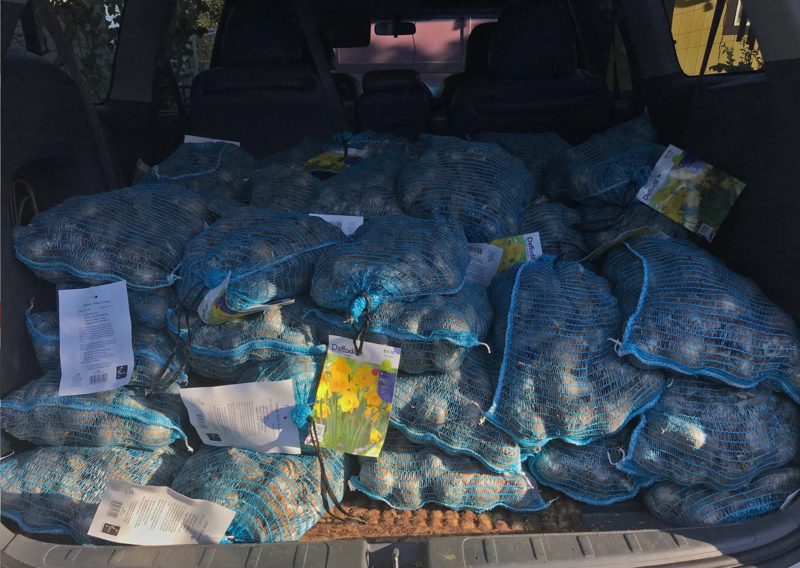 This coming weekend (Saturday the 17th and Sunday the 18th), neighbors will be meeting 10:00am-4:00pm to prepare the soil and then plant over 3 thousand daffodil bulbs. Wear heavy gloves and yard shoes. Bring your own planting tools: shovels, trowels, hand clippers (for cutting ivy roots). Rain gear if it is wet! You can find out more on ALUV's website, who first alerted us to this community project.